I just learned that a dear friend of mine is pregnant. After the announcement and our subsequent celebratory lunch, my mind starting thinking about what I could make to welcome her child into the world. It’s too early on to know if it will be a boy or a girl, which also means I’ve got plenty of time to make something by hand and from the heart. Here’s a few of the baby toys I’m thinking about making. I’d love to hear your thoughts on them! I love this idea. 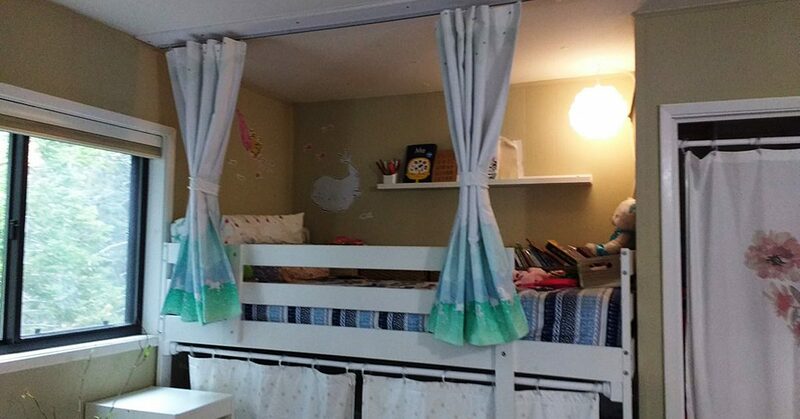 I used to love my two-sided comforter because I could flip it around based on my mood (and also based on which side had less cat hair…) My friend and her man are super unique, so I know their baby’s room is going to have flair and style. 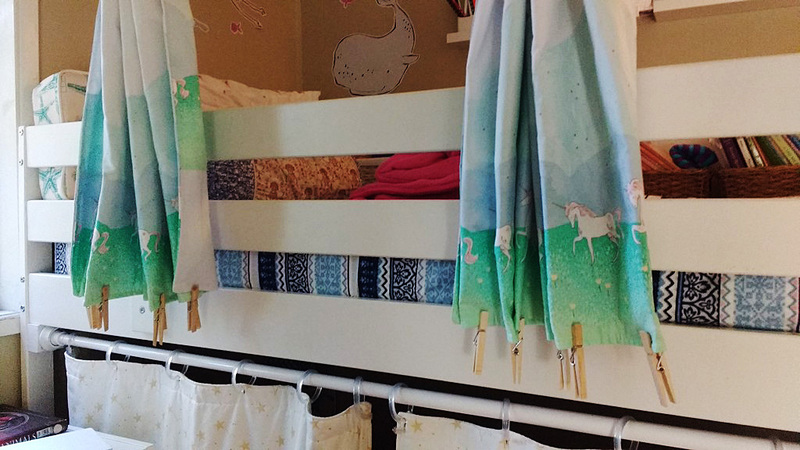 A reversible baby blanket would be right up their alley. 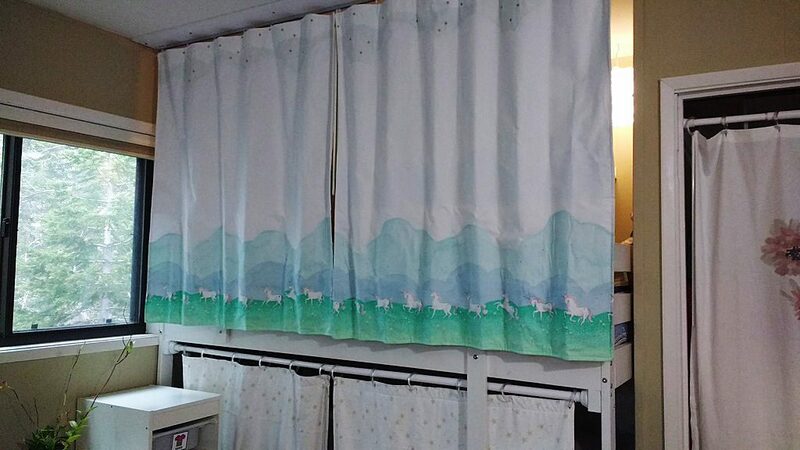 Of course, I’d want it to match the colors they choose for the nursery, so I’ll have to check about that before I start. Like all babies, I’m sure my friend’s bundle of joy is going to want to be held A LOT. And I know my friend is up to the task. She’s going to be an amazing mom! The new arrival is due in the February/March timeframe, so it will still be cool where we live. 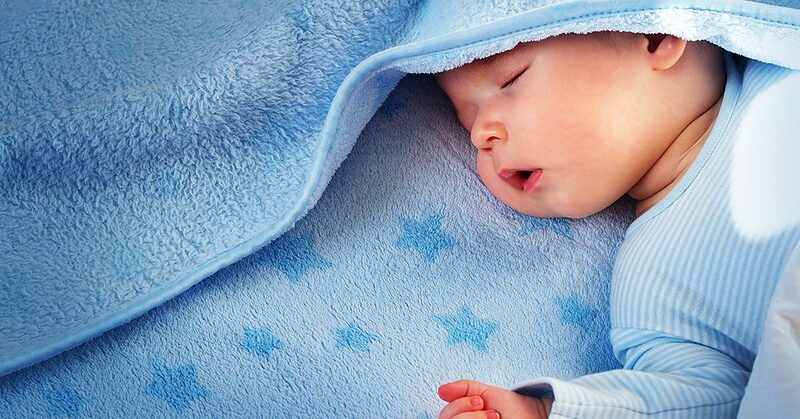 It makes me think that a super soft, and warm receiving blanket will help new mom and baby snuggle and bond. It won’t be long before that new bundle of joy is putting everything in his or her mouth. (By the way, I’m certain it will be a girl.) Between teething and the need to understand the world using all her senses, her mouth is going to be full of all sorts of stuff. I love this crunchy jellyfish pattern because it will give her something safe to mouth on and it’s so cute! Along the same lines as the crunchy jellyfish, this sun toy is super cute and great for littles ones putting everything in their mouths. It’s got loads of textures too, making it entertaining in many ways. And when baby decides it’s time to throw her toys, it’s soft and won’t hurt or damage anyone or anything. 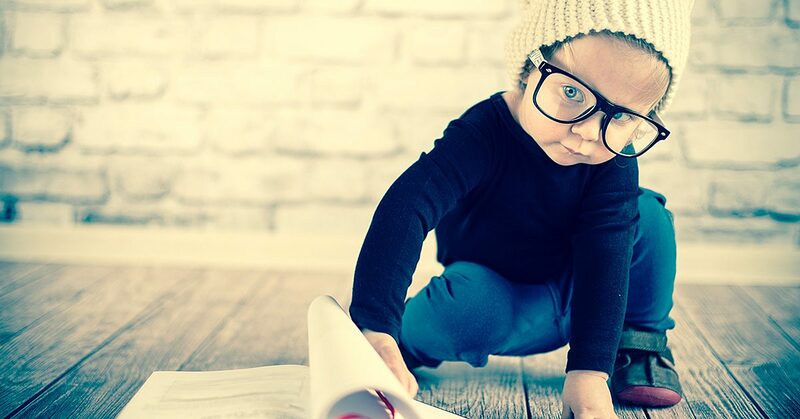 So, if it was your friend having a baby, which of these cool baby gifts would you make? 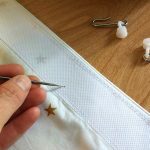 You may or may not know this yet, but besides writing and sewing – and writing about sewing – I’m also a children’s author. My newest book is about a rock with a crazy big dream – one that will transform her life. 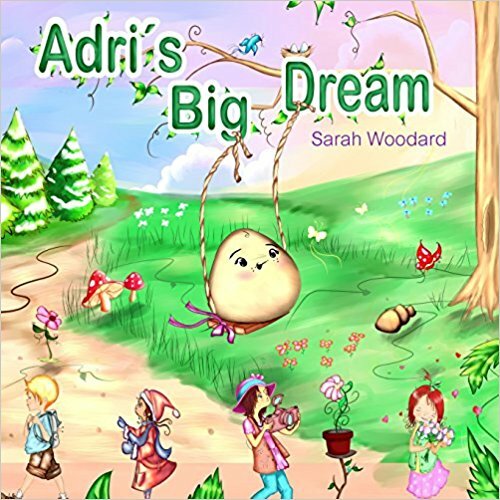 The main character, Adri – which is Sanskrit for rock – is captured so beautifully by my illustrator that I feel inspired to create giveaways. Giving a rock personality without humanizing it is a real challenge, as I’m sure you can imagine, so I was completely blown away by the illustrations. To capture Adri in 3D, I’ve been playing around with gray fabrics. And let me tell you – there’s A LOT more shades of gray than you might think. Anyway, I’ve been playing around with gray colors and different fabric textures and combining it with different stuffing types to create Adri giveaways. But here’s the thing – and this is where I’d love some help from all of you – a stuffed rock is soft. On the one hand, that’s good since it’s a kid’s book and I don’t want anyone getting hurt. On the other hand, rocks aren’t soft so anything I sew and stuff won’t be too realistic. I’m torn about what to do. There are other characters in the book, though they don’t have names. Flowers, mainly. I’m wondering if it’s better to make a soft giveaway that recreates one of the flower characters and use actual rocks, maybe with glued on eyes, to make Adri. For those of you my age and older, you may remember pet rocks. I’m thinking something along those lines, though hopefully it’s not a copyrighted toy. As sewers, readers, parents, would you prefer a soft, sewn “rock” or an actual rock giveaway? Is it even necessary to have a giveaway? I’d love to hear your thoughts, suggestions and any other ideas you have for helping engage kids and their parents in my book. I’m currently working on a little six episode new series for Amazon. 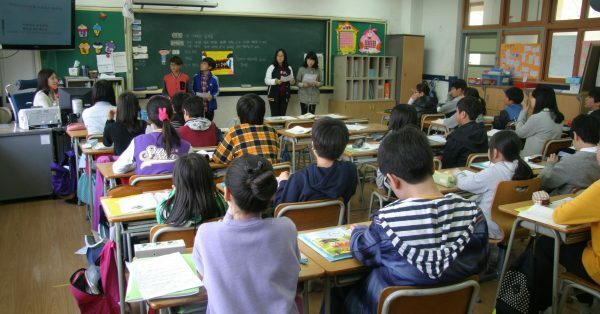 The main stars of the show are three young actors ranging in age from 10 to 16. People often ask me if working with child actors is difficult and how it differs from working with the regular full sized, adult actors. Of course, he’s only 10 so he has quite a few years of trying on different pairs of pants ahead of him. But, he meant it. He’s an extremely genuine young man. 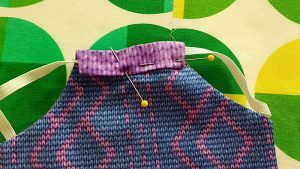 Which got me to thinking about the ways in which people interact with each other, especially when it comes to clothing and style, and even sewing. Sewing is something I’ve been doing for most of my life, at least ever since I was about 8 or 9 (and I’m getting dangerously close to 50 these days), yet I can probably count on two hands and maybe one foot the number of genuine accolades I’ve received from others in regards to my work. Not that I do this tailoring things for the compliments. God knows the television and film business is pretty much the last place you’ll find that type of thing (unless you’re someone like an actor or a producer or a director.). And most of the time it’s all okay. I don’t need a lot of recognition or (really, any) glory. But, I’m not going to lie, receiving appreciation and actual, true admiration for something I made, even coming from a 10 year old, was quite wonderful. Actually, I think I should amend that sentence to say, especially coming from a 10 year old. 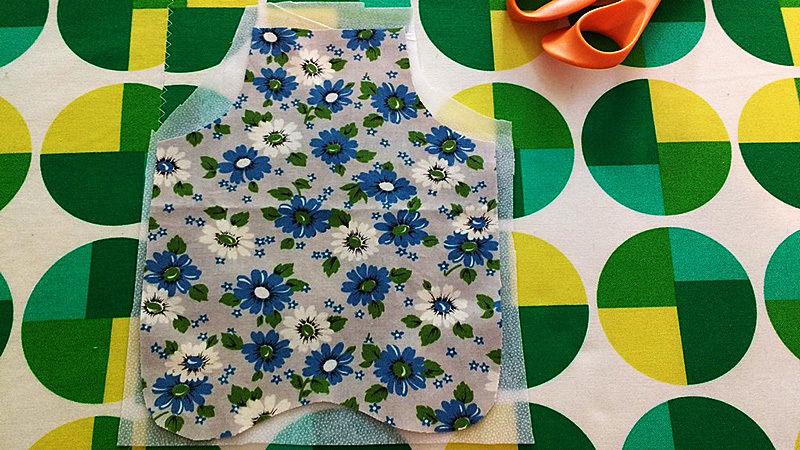 Drafting patterns for children is no more difficult than for adults, once you get used to the different proportions. One thing I learned early on in regard to making kids clothes is that they (the kids) can sometimes experience growth spurts in the middle of the run of a show or even during the time it takes to film a television season or a movie. I always leave extra seam allowance in the hems and center backs of things, something I’m sure Moms who sew for their own kids do all the time too. Back in my Alley Theatre Christmas Carol days, we had a stock of clothing we used every year for the urchins. 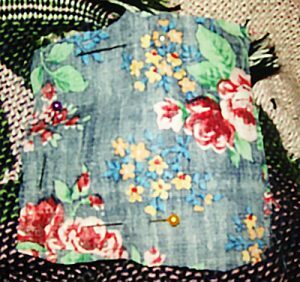 They often had hems that came all the way up to the knees and center back seams that extended more than half way to the side seams. 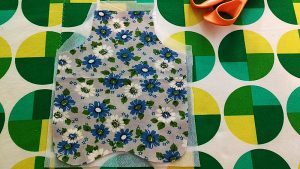 Something to keep in my mind when making children’s clothes is fabric choices. You want to make sure you don’t use anything that might be itchy or rough against their skin. And the more durable it is the better. I always reinforce any seam that’s going to get a lot of strain. Another little thing that we do often in the television business is to buy more than one of any particular clothing item. 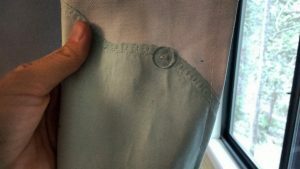 That way, if something happens to the shirt an actor or actress is wearing, like a chocolate or grass stain, the set costumer just needs to switch it out for new one. On the show I’m currently on, we usually have at least three multiples of all the kids’ wardrobes. Of course, this means I have to alter three of everything we use. But, it’s all fine. Kids clothing is not very big and, for some reason, everything seems kind of adorable when its small. The one really great thing about working with children, though, is that, for the most part, they still have a sense of awe and wonderment for the fact that they’re getting paid to spend all day playing make believe and dressing up in costumes made especially for them. And, although they get tired and occasionally grumpy (just like adults do) they definitely exude an infectious joyfulness that makes me truly happy to make them all sorts of fun and unique clothing. Because, when a 10 year old (going on 40) tells you that “I bet even something you make when you’re having a bad day will be awesome,” you can’t help but smile. So, spread some joy if you can this week. Give someone a genuine compliment. Make something special for a young person that makes them feel as if they can do and be anything. The world can always use more of that. 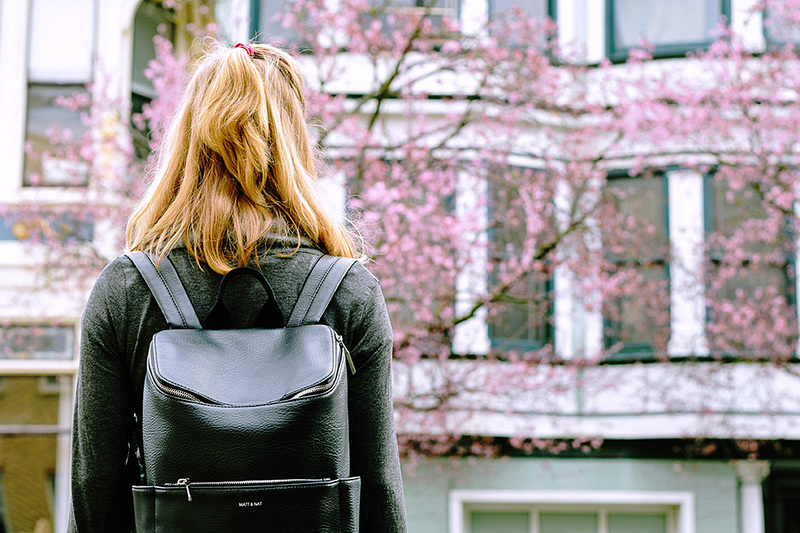 It’s the middle of August and, according to the Internet, Back to School time. I was such a geeky, nerdy kid that I always loved going back to school in the fall. And I always liked autumn clothing better than summer clothing. Probably because I have a soft spot for anything plaid and earth toned, both of which tend to be predominate in fall fashions. I grew up in the 70s and 80s when J. C. Penney and Sears still put out their big book catalogues. 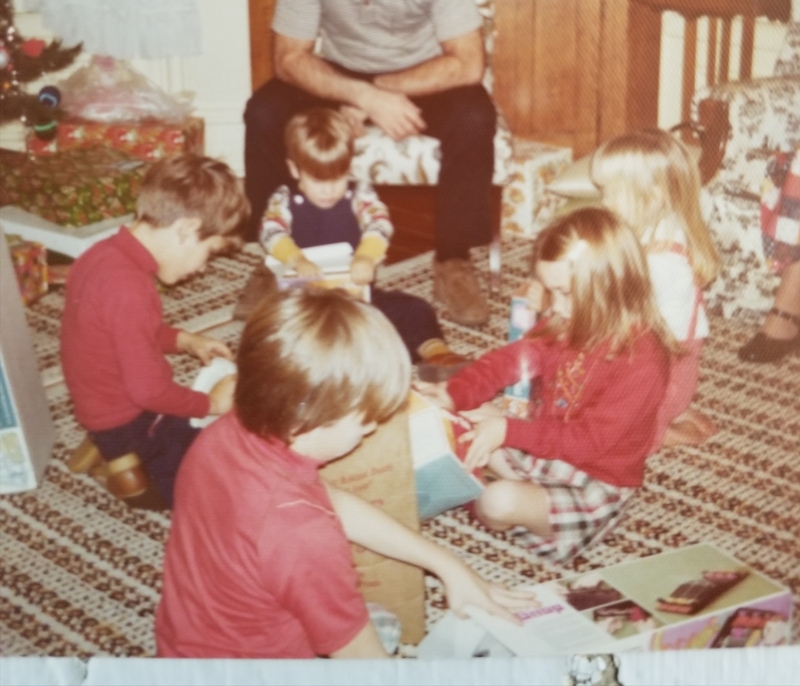 I spent hours going through those, ear marking the pages that pictured the clothing items I most wanted. We never actually ordered anything from the catalogues. My mom was a big proponent of in-person shopping. Even to this day, she’s not so keen on ordering things from the internet. 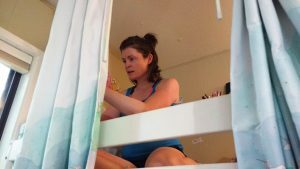 Instead, on a Saturday or Sunday in August, she’d load all four of us kids into the van for a trip to Midway Mall or, if we were feeling fancier, Great Northern Mall. Midway Mall is in Elyria, Ohio and it had a Penney’s and a Sears. (I suspect it still does.) Great Northern Mall is in North Olmstead. We always thought of it as being a bit more high end the Midway Mall though I have no idea if that was true or not. Great Northern had a Penney’s and Sears as well but, it also had a Macy’s. I would spend hours searching the racks for the garments I had identified in the catalogues, or something as similar as I could find. Then I’d try on a pile of clothing in the dressing room. 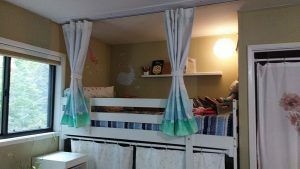 I always wanted much more than Mom’s budget would allow so then I’d go through a lengthy editing process until my choices added up to what Mom was able to spend. 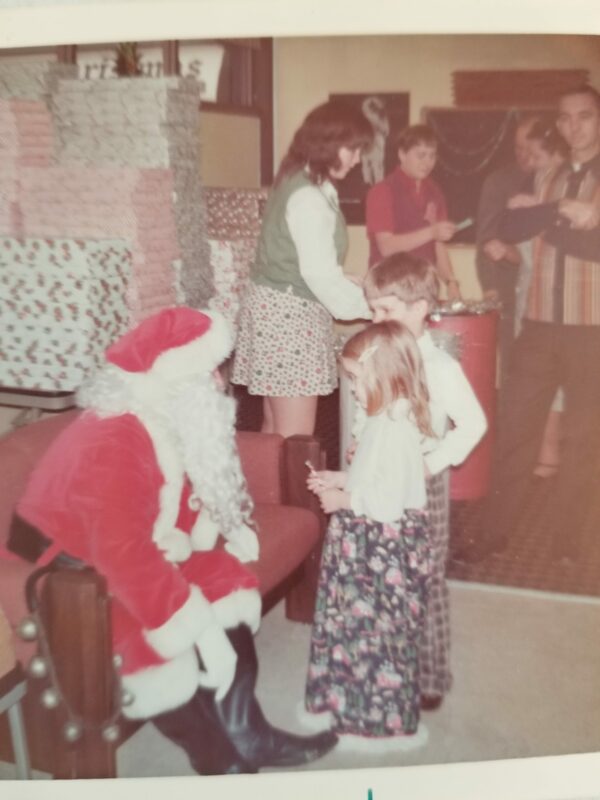 Every year there was one thing I desperately wanted that Mom didn’t want to buy for me because she thought it was too trendy and I’d lose interest in it after a month or two. 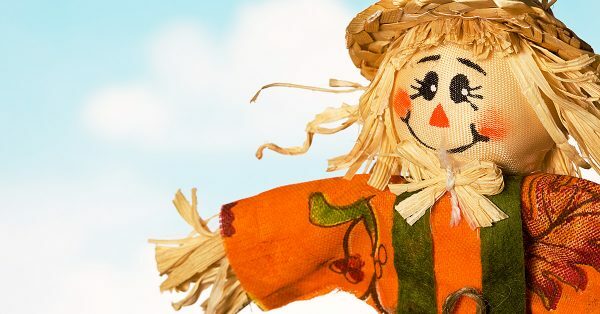 Every year there was one thing I desperately wanted that Mom didn’t want to buy for me because she thought it was too trendy and I’d lose interest in it after a month or two. When I was 12 or 13 and in junior high school, I was obsessed with pin striped pants and ties. Mom agreed to buy me one pair of pin striped jeans but told me if I wanted any more, especially the wide legged, pleated pair, I’d have to figure out how to make them myself. As for the ties, she had some old ones from her father I could have. I had no idea at this time how to go about making a pair of pants. I also didn’t happen to have any pinstriped fabric lying around. But my Dad did, at least he had some pinstriped pants shoved deep into his closet that he never wore. The pair I liked the most were rust and brown and one Saturday afternoon when both he and my Mom were at work, I extracted them from the closet. They were, of course, humongous on me but I knew how to sew so I figured I could alter them to fit. I was afraid that someone would come home and stop me mid alteration so I didn’t bother taking anything apart first. 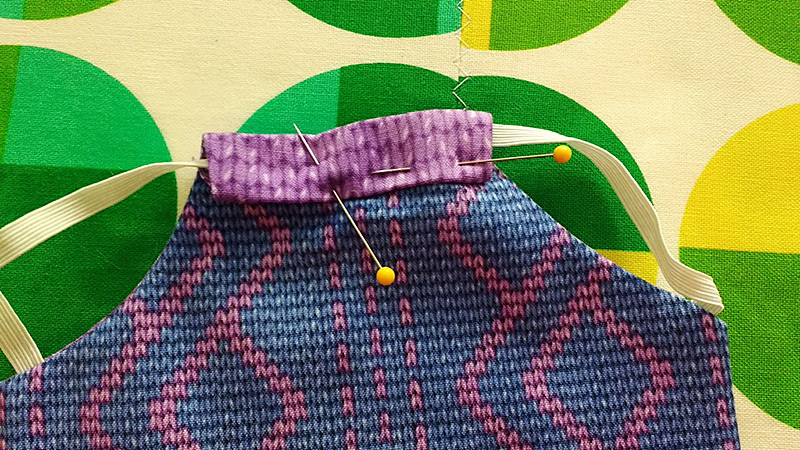 I just started adding pleats to the waistband, two to each side that I topstitched all the way down the legs. Then two in the back. I chopped off the hem, unintentionally rendering the pants capri-length. When I put them on, I decided the capri-length made them more fashion-y and I was going to wear them to school the next day. I wish there was a photo of me in these pants but there is not. I wish there was a photo of me in these pants but there is not. I did put them on Monday morning, along with a brown turtleneck, a brown belt, and my flat brown capezio lace up shoes. The pants were bulky since I hadn’t trimmed any of the fabric out when I altered them and the legs stuck out because of the same but I thought they looked cool. When I walked into the kitchen, my Mom did a double take. She opened her mouth to say something then closed it again. I waited for her to yell at me or, worse yet, to give me the “I’m so disappointed in you” look. And there marked a three or four year period of me altering my father’s 1960s clothing to fit me. My mom was happy that I didn’t ask her to buy me as much at Penney’s and Sears. I was happy that I had clothes that were not like everyone else’s. And my dad was just happy that me repurposing his old trousers gave my mom one less thing to nag him about (my father was never very good at throwing “perfectly good” old items away). I don’t know what the other kids at school really thought about my vintage dad wardrobe. I was already considered weird before I started donning old pinstriped pants so I suspect it just solidified that sentiment. 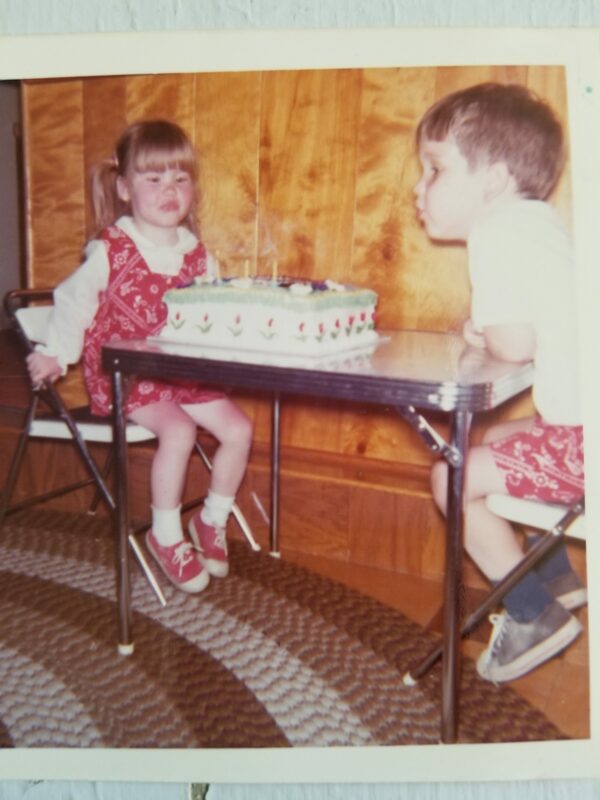 I am, though, forever thankful to my parents for letting me develop my own little bizarre fashion style, and for encouraging my sewing habit. Whoever would’ve thought it would turn into a lucrative career. 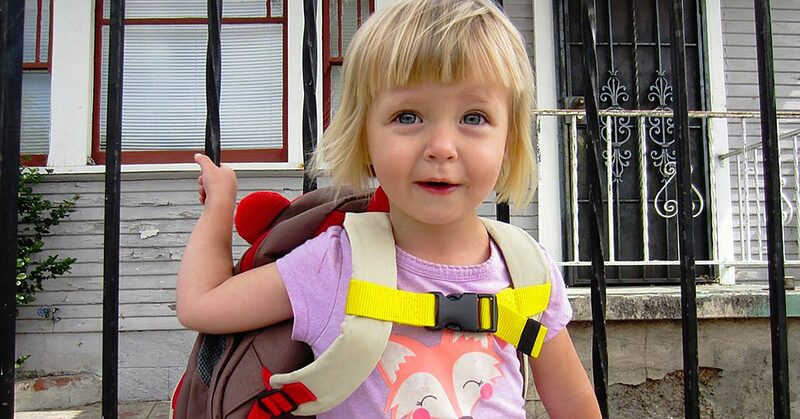 Have you seen these adorable little children’s backpacks that look like animals? They’re made by Skip Hop and retail for around $20. 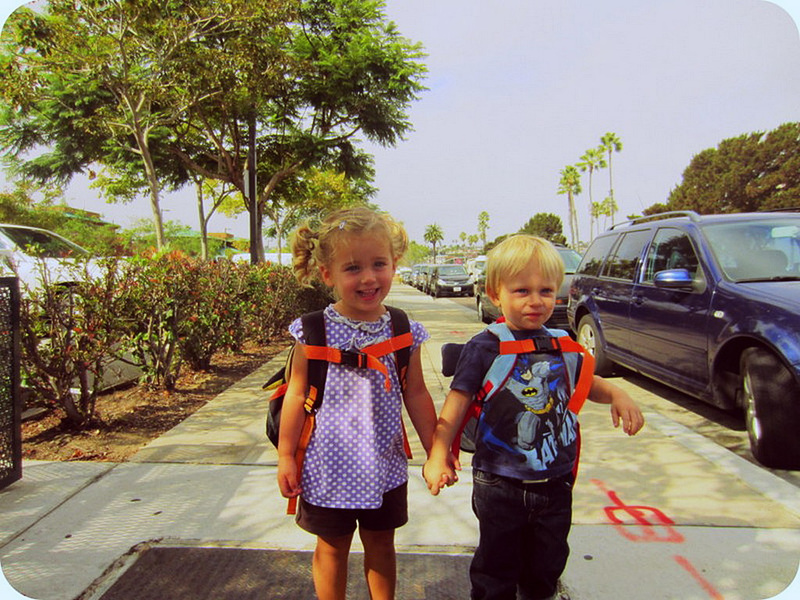 The only problem with them is that, like many children’s backpacks, they don’t come with a chest clip. 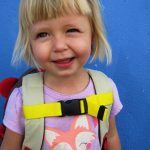 Kids’ shoulders are tiny and their frames are narrow. 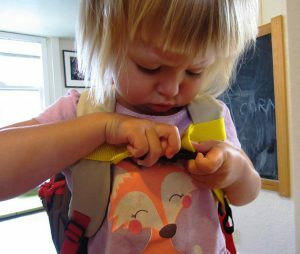 This means they usually can’t keep backpack straps on when there is any weight added to their bags. 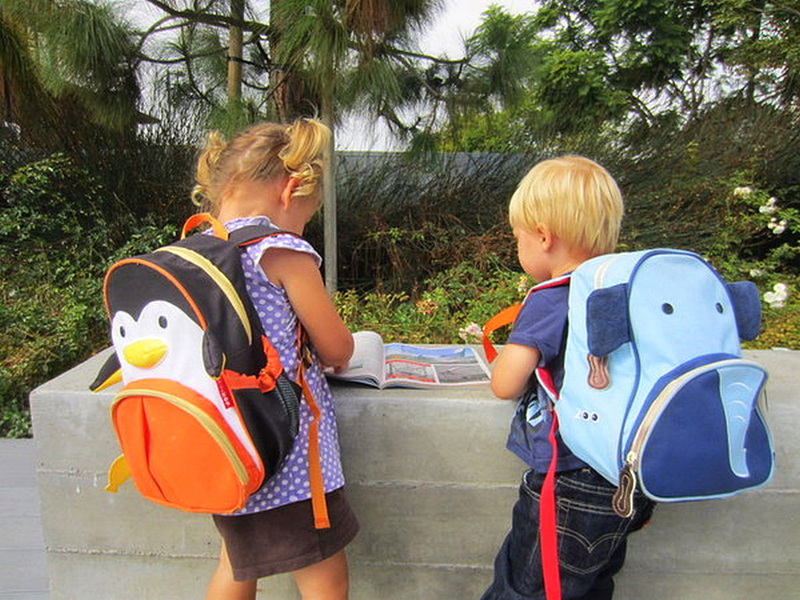 For the most part I see Skip Hop backpacks slung over a parent’s shoulder, carrying the bag for their children. 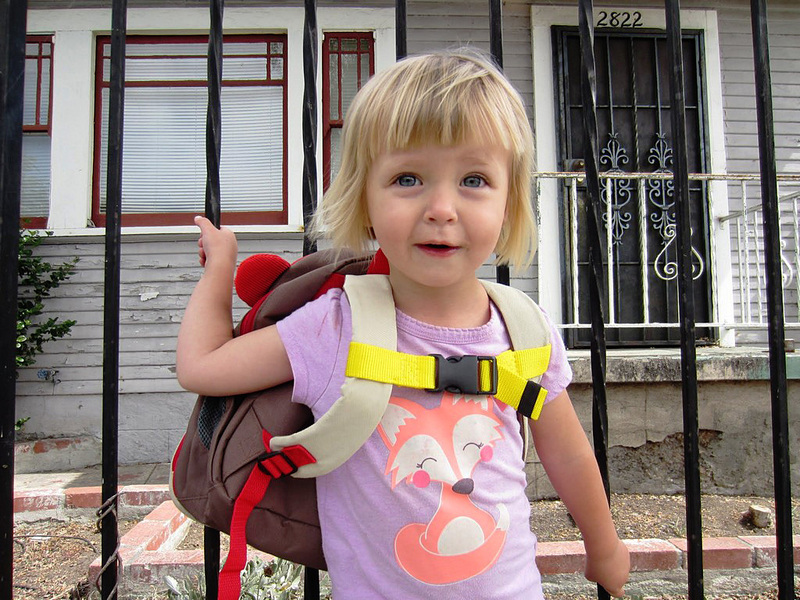 Have you seen these adorable little children’s backpacks that look like animals? I decided to make my own chest clips for these puppies and for my friends who have the bags too. 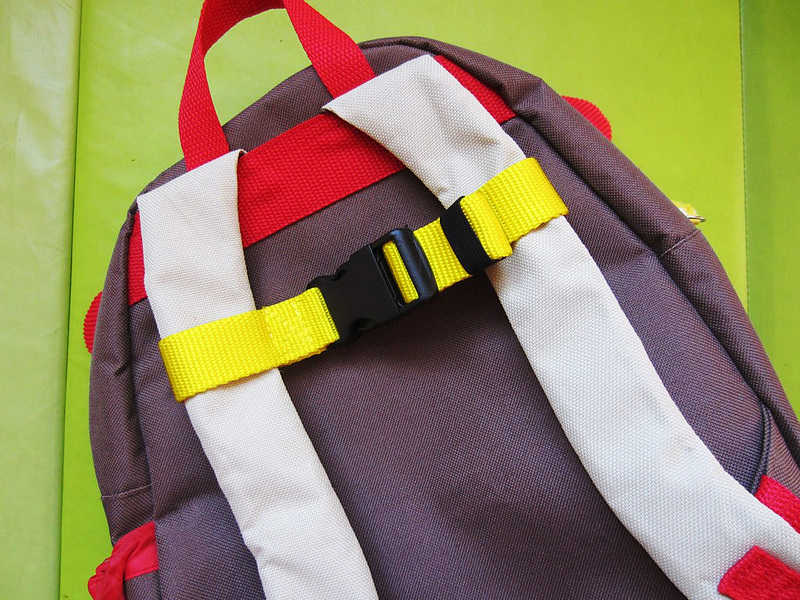 The result is a backpack that children can truly wear on their own. 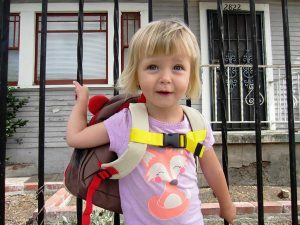 A backpack that children can truly wear on their own. To make your own, you’ll need to unthread the backpack straps from the base of the bag. 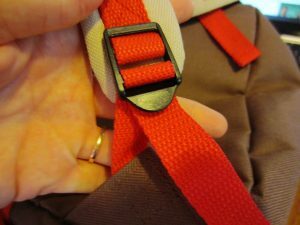 Once you’ve unthreaded the straps, you can sew a webbing piece for the right and the left strap that holds each end of your clasp. I used 1″ webbing and 1″ clasps. I got all of my supplies from StrapWorks.com. 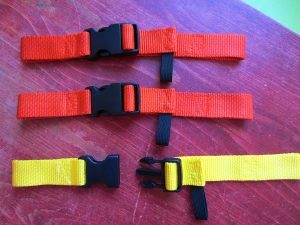 I used 1″ webbing & 1″ clasps. I sewed a small loop of 3/8″ black elastic on the end of the webbing so I could roll up the extra webbing and tuck it neatly into the loop. These are examples of clips I made for friends. These are examples of clips I made for friends. If your child is really little, they may not be able to manage the clasp on their own. If you give them enough time to work at it though, they’ll eventually get it. It gives them a great sense of independence and freedom. If you give them enough time to work at it though, they’ll eventually get it. It gives them a great sense of independence & freedom. And really, how adorable is this bag with the added chest clip? 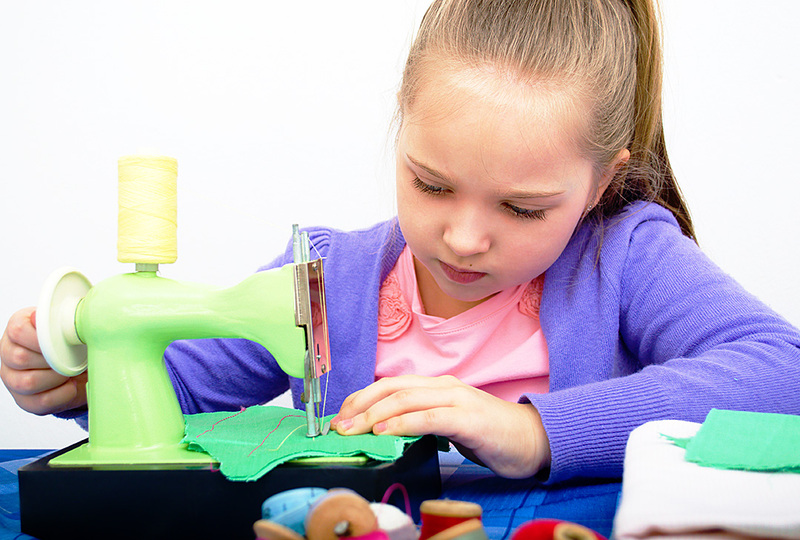 What type of sewing hacks have you done to children’s products in your life? 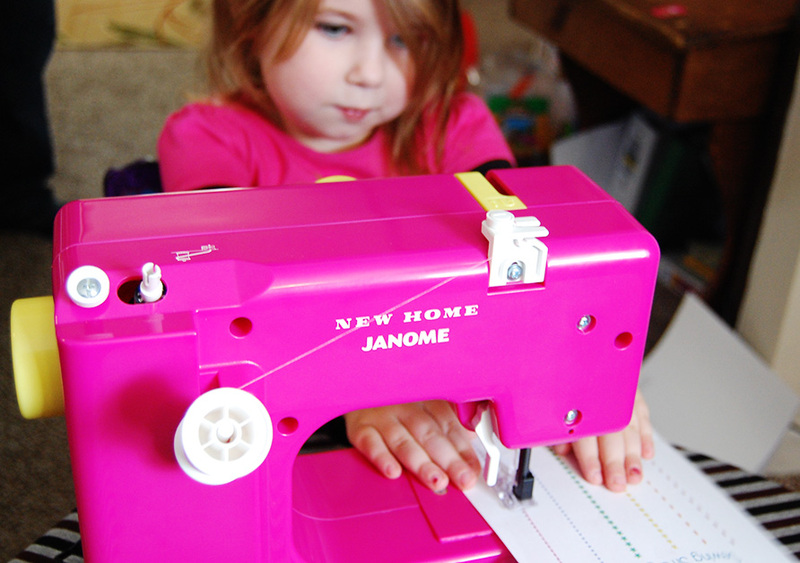 I remember being a child in a store when my mom was deciding to buy another child a toy sewing machine. I was too young for it, making it what could’ve been a dangerous option for me, but that didn’t mean I wasn’t jealous of the other child who would get the sewing machine! In a world of game systems & electronics, toy sewing machines that may or may not work are still on the shelves. This might be a misconception on my end of things in assuming that toy sewing machines will be, simply put, less than adequate. 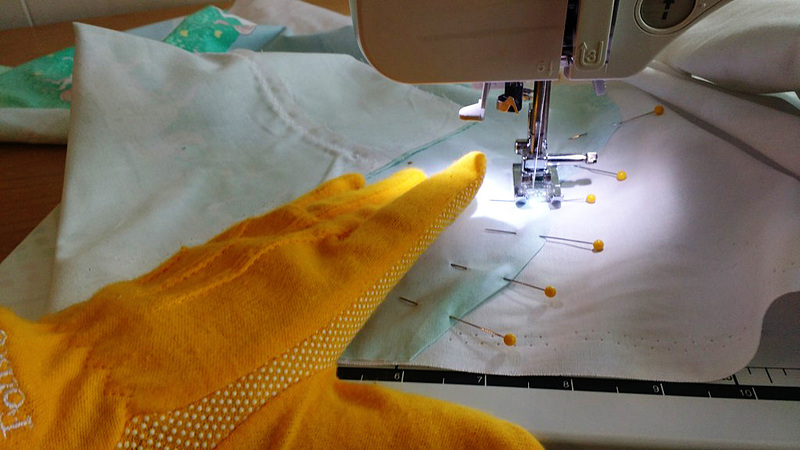 In fact, one or two of them probably do at least basically stitch together the small projects they come with. But it’s led to a question in my mind that I’d like to explore for a bit. 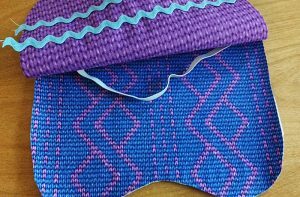 That question is why sewing continues to be an intriguing prospect as the years roll by, to the point that in a world of game systems and electronics, toy sewing machines that may or may not work are still on the shelves. 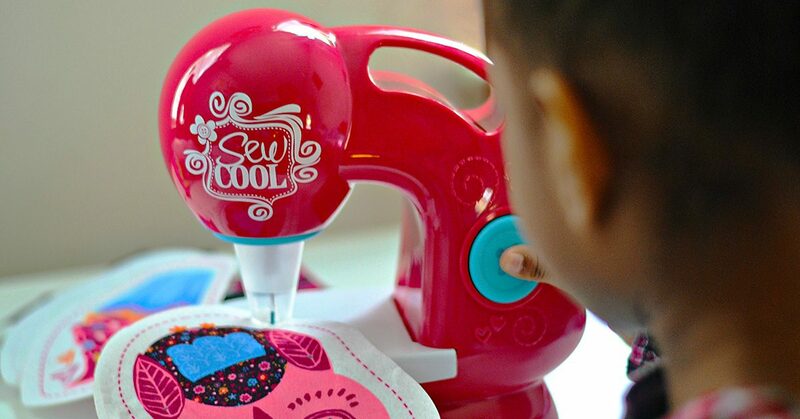 Even for adults, sewing can be seen as a throwback hobby, so why is it so appealing that a younger generation would still add a sewing machine onto their lists to Santa along with the latest Wii and the most impressive riding toy on the market? 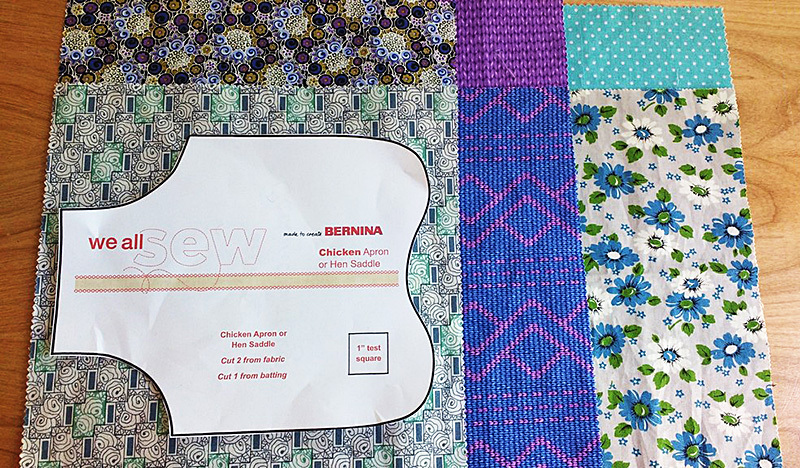 Here’s a pass-it-on quality that goes along with sewing. Well, for one thing, there’s a pass-it-on quality that goes along with sewing, and as children, we were kind of prone to looking at what our parents were doing for inspiration. It’s no surprise this tradition passed on to today’s world if you think about things in that context. 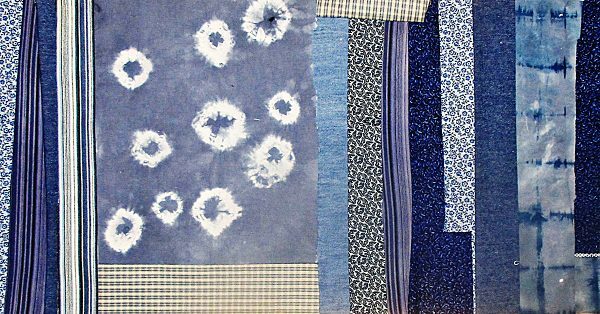 Our great-great grandparents may have needed to create their own clothes, blankets, etc. in a world that was very different than ours, and even when society changed enough to start negating that need through things like the division of labor, there were still probably little eyes looking up at the quilters and such who continued their crafts in spite of the changes, maybe out of genuine love of the endeavors. 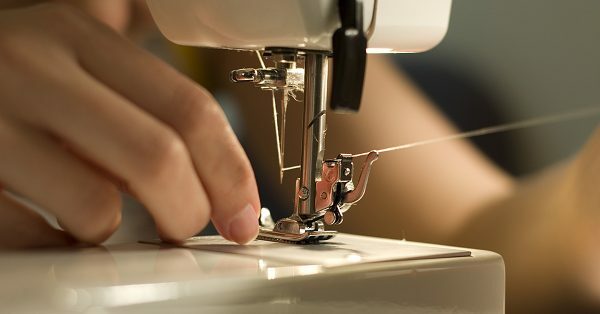 That generation could’ve kept the tradition going for another group of young eyes to latch on to, on and up to recent times when little eyes are looking at that little sewing machine that looks so much like the one at home. Sure, you can pay a seamstress to sew the rip in your coat’s lining, but in the long run, being able to sew that lining yourself saves money. It’s also practical! No matter who you are and what you do, you’re probably going to need something mended at some point in your life. 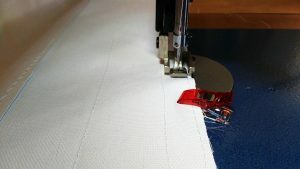 Not only does this increase the odds of those little eyes seeing sewing in action, but it provides usefulness to the hobby that makes it a logical thing to learn. 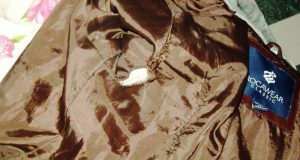 Sure, you can pay a seamstress to sew the rip in your coat’s lining, but in the long run, being able to sew that lining yourself saves money. 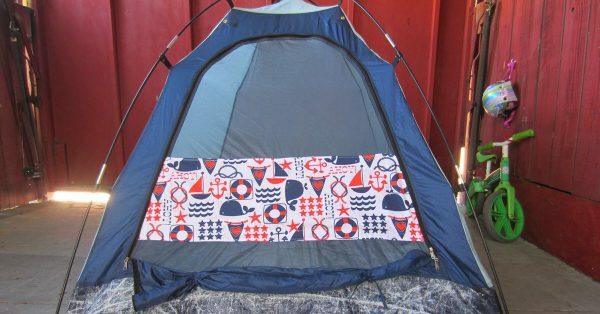 I admit that most kids probably aren’t diving into the sewing world with money in mind, but being able to contribute with such a grown-up task could be appealing to them. Don’t believe me? 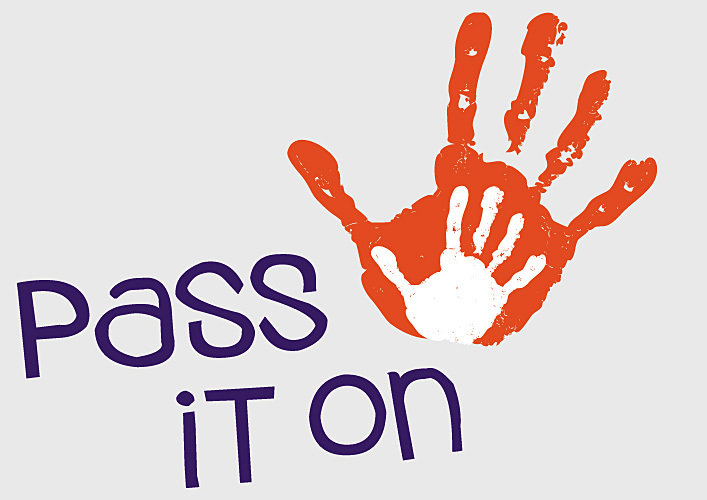 Try baking a cake in a room full of kids and see how many offer to help! Sewing, as it happens, has the added bonus of being so convenient that I can sew & watch my superhero movies at the same time! 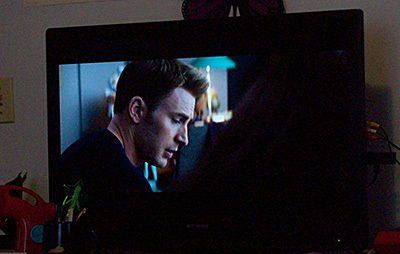 Sewing, as it happens, has the added bonus of being so convenient that I can sew and watch my superhero movies at the same time! 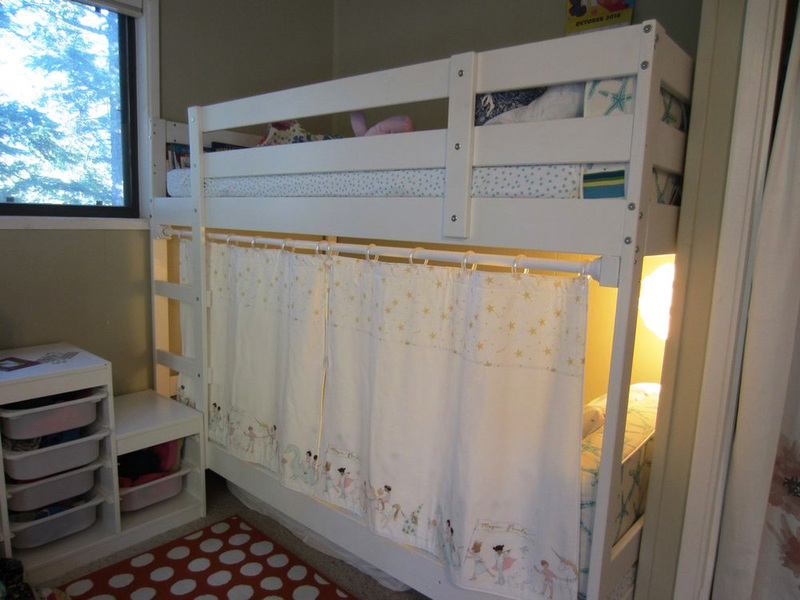 Because of this convenience factor, it can be an endeavor that comes with good memories and feelings for children. Think about it. 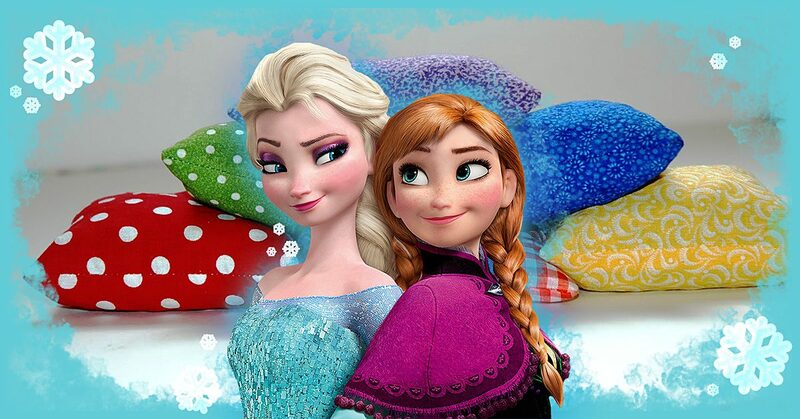 If I were making a rag quilt, I could sit with my nieces while a cheesy cartoon played and fray the edges for the quilt. It’s a hobby that allows time for them, and that’s a detail that a child could easily appreciate. 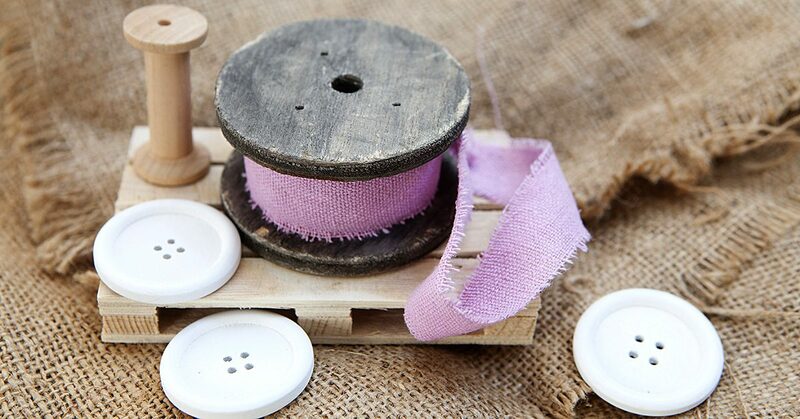 With those kinds of good feelings and that pleasant context, picking up a sewing interest isn’t that shocking! On the flipside, parents, grandparents, aunts, uncles… We might appreciate the interest as well. Why? For one thing, it’s creative, which helps a child expand in imagination and think outside of the box. The little sewing enthusiast could construct a final product that really took time and effort, and that pride could be something that proves fulfilling enough to warm the nearby adult’s heart. Another appealing detail for the adults buying these toys and encouraging the interest is that sewing is a relatively safe activity for a child who’s reached an appropriate age. 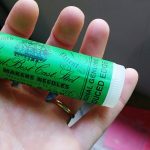 Clearly, you shouldn’t hand a three-year-old a sewing needle, but an older, more mature child would be able to dive into the hobby with little worry over injuries. For child and parent then, this could be an easy interest to embrace! 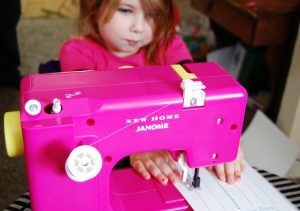 So, why was I confused about the continued existence of toy sewing machines again?! Who knew chickens wore clothes? When my girlfriend, Ella, asked me if I could make her a ‘chicken apron’ I thought perhaps she meant something like a heavy duty cover for when she is out in her yard working with her chickens. I of course said yes, but she quickly corrected me and explained that the aprons in questions were actually for her chickens. It turns out that other chickens can be mean and may pick on or peck a member of their brood (even to death). Additionally, roosters can sometimes be too aggressive with hens. Chicken aprons, also called chicken capes, or hen saddles, can protect their backs from the claws of the roosters. 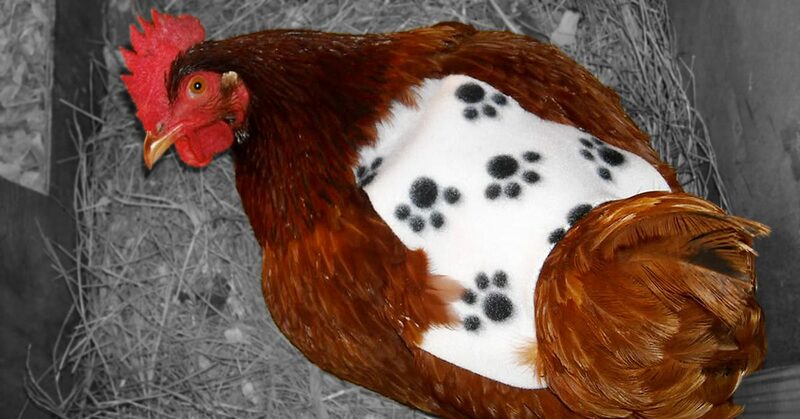 While I often create my own patterns when I sew, creating something like this for Ella’s chickens was beyond me. 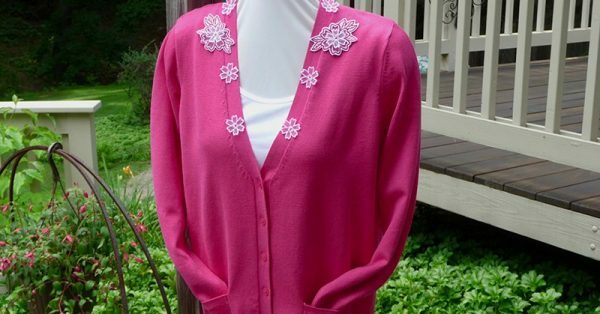 She found me a free pattern, which you can also follow here, and I got to work. 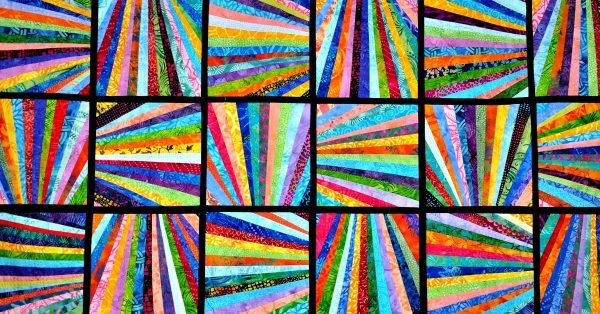 Heads up that this project is perfect for any pre-cut layer cakes (10″ x 10″ squares) you may have on hand. Photo credit, left to right: Ella Sherman, MyPetChicken.com & WeAllSew.com. 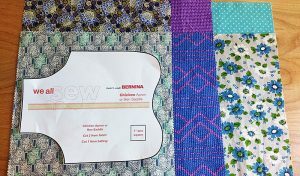 My oldest daughter helped me pick out some fabrics and we sent a picture for Ella to choose from. 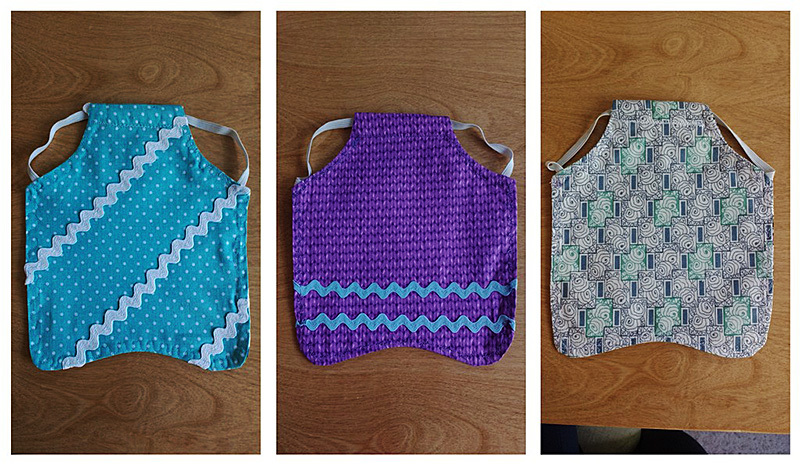 I planned to make her three reversible aprons. 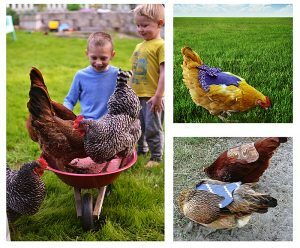 Never dress your chickens in pink, or red; it brings out their cannibalistic instincts and could result in the chicken getting pecked to death. Red & pink = no no. Beware of chicken scratch. Red & pink = no no. 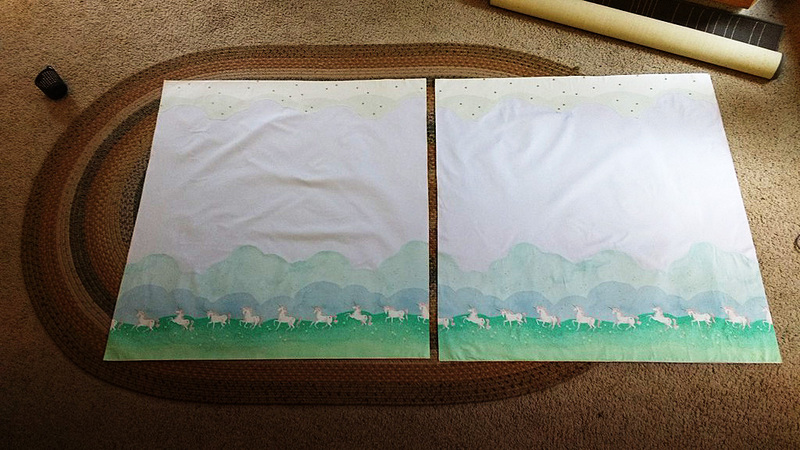 With my six fabrics decided, I drew out a pattern on each one. 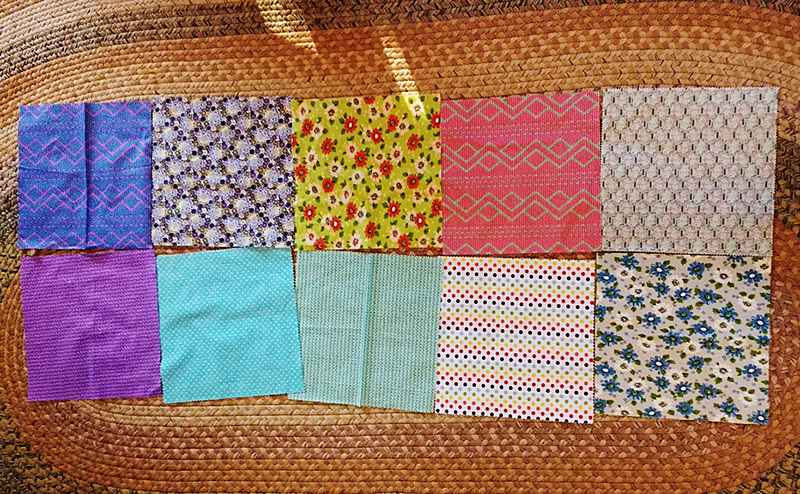 All of these are layer cakes squares I had in my fabric stash. 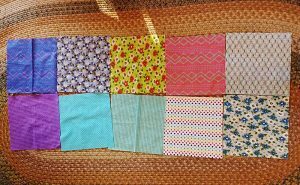 All of these are layer cakes squares I had in my fabric stash. Ella lives in Southern California so she didn’t need any type of warmth or real thickness for batting. 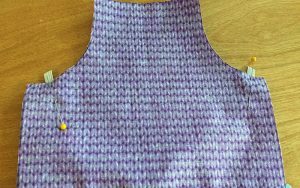 Still, I wanted them to be crisp, so I added a layer of Pellon 931TD, Fusible Midweight Interfacing to one side of each apron. 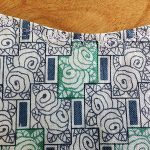 I wanted them to be crisp, so I added a layer of Pellon 931TD, Fusible Midweight Interfacing to one side of each apron. 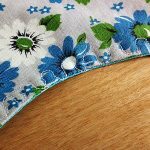 Once three of the sides had interfacing, I turned to decoration. 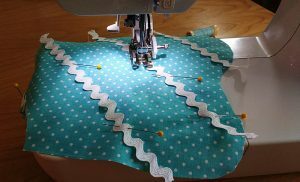 If you plan to add rick rack or bows, do it before you sew the sides together. 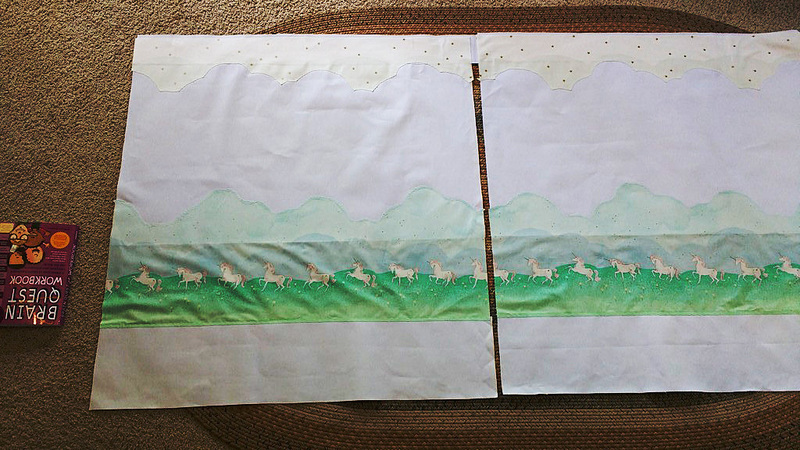 Once three of the sides had interfacing, I turned to decoration. 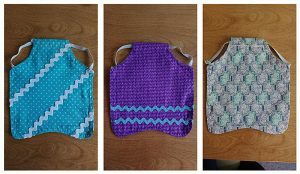 Cut out a 10.5″ piece of elastic for each bib. You will pin each end where the arm (wing?) holes would be. You will pin each end where the arm (wing?) holes would be. 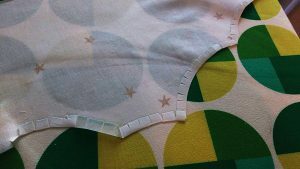 Place the layers, right sides together and pin (here you can see the elastic sandwiched between the layers). Here you can see the elastic sandwiched between the layers. 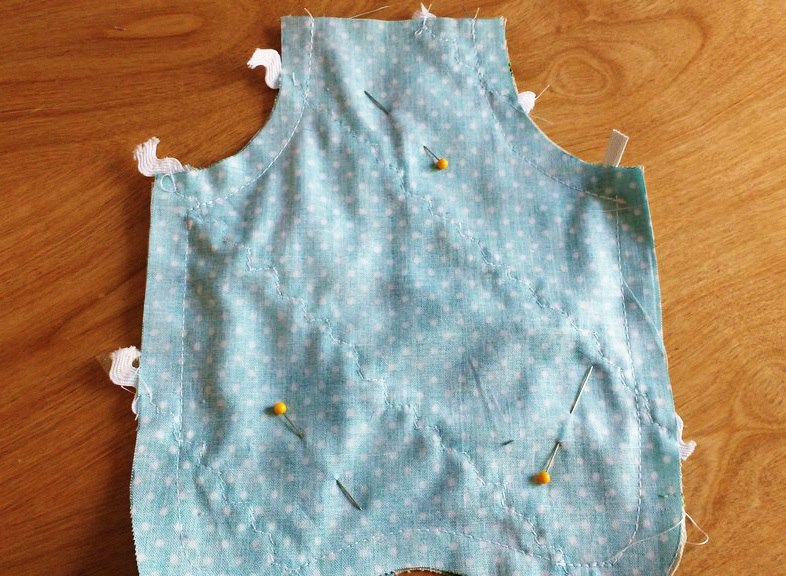 This is how it should look before you begin sewing. The pattern I used called for a ½” seam allowance, probably because it also called for thick batting. Choose your own seam allowance and sew all the way around, leaving only the neck hole completely open. 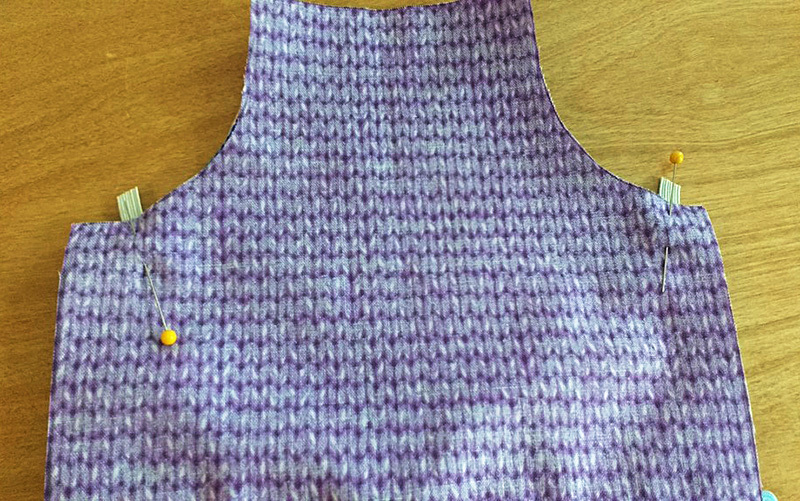 This is how it should look before you begin sewing. Here’s how mine looked after sewing all the way around. 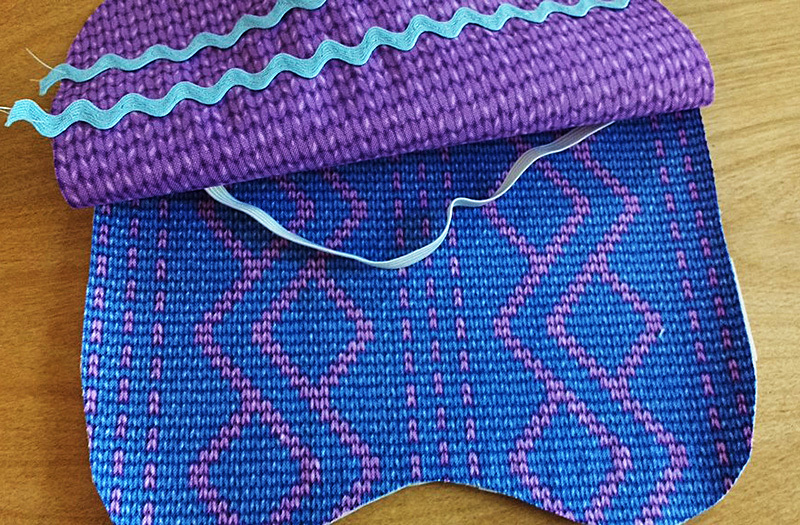 I trimmed away the excess fabric and made small snips around the inner and outer curves so they would lie flat once I turned the fabric right sides out. Here’s how mine looked after sewing all the way around. Take your time and run your fingers along the inside seam, popping the fabric out so it shows a great shape. Iron! 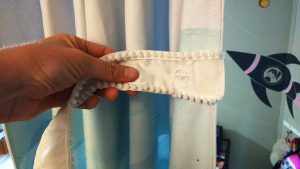 I both ironed and starched mine once I had turned them. Next, turn the neck hole down first a ½ inch then another ½ inch. Tuck the piece of elastic into where you’ve turned it, creating a casing. 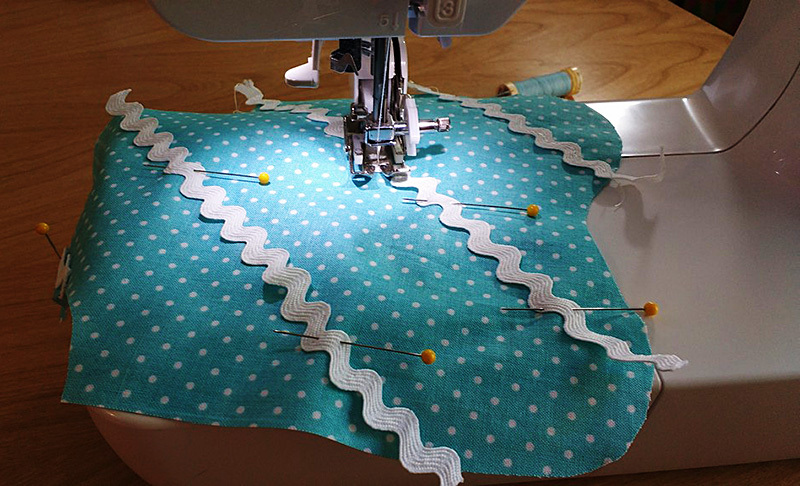 You will sew across the bottom of the folded fabric, taking care not to catch the elastic. When you are done, you should be able to move the piece of elastic freely back and forth in the casing. When you are done, you should be able to move the piece of elastic freely back & forth in the casing. Have fun with your top stitching. I used a different decorative stitch on each apron. Have fun with your top stitching. 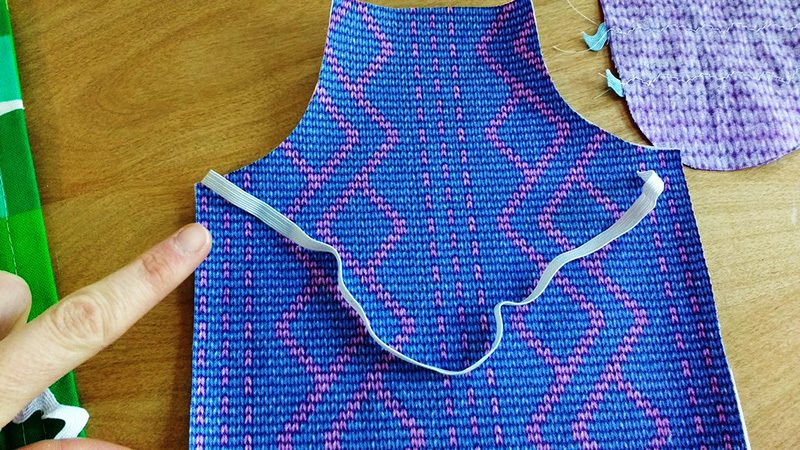 I used a different decorative stitch on each apron. 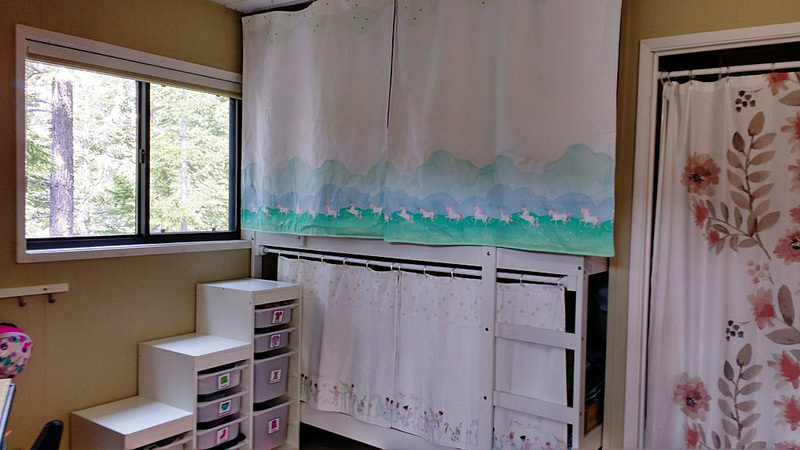 This is easily a 20 minute project if you have all your supplies at hand. 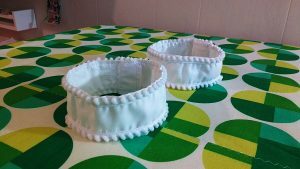 It’s wonderful for layer cakes and if you have friends who own chickens, these would make great handmade gifts. It’s wonderful for layer cakes & if you have friends who own chickens, these would make great handmade gifts. Pop your presents in some pretty wrapping and send them off to be wild with some hens! 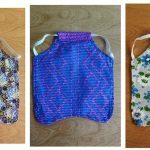 Have you ever made chicken aprons or a unique piece of clothing for an animal? Tell us about it in the comments! 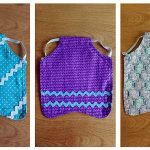 Have you ever made chicken aprons or a unique piece of clothing for an animal? I think I’ve mentioned before that I have quite a bit of fabric leftover from the top layer of my quilt, right? Well, I do, and it’s interesting to come up with practical, usable projects that could give that fabric a purpose. This week, I did exactly that, and I’m going to share the idea that was a two-fold win for me: Using a little bit of fabric and creating something that I had a genuine reason for making. Frozen Toss Across set , and it comes with simple blue throwing bags. So, my niece has this Frozen Toss Across set , and it comes with simple blue throwing bags. 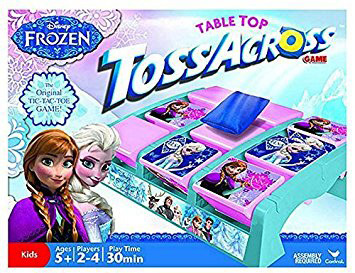 The idea is to tic-tac-toe with Anna or Elsa (whichever character you are) to win, but the thing is that we currently only have three throwing bags out of the original set that we can use. What that boils down to is that the two of us would play the game one toss at a time, and we’d have to keep going over to the board to retrieve the bags for the next round. Sure, it’s doable, but it isn’t as convenient as only having to go bag-retrieving every third toss or so! Yesterday, it occurred to me that I have small pieces of material and fewer throwing bags than we used to have. 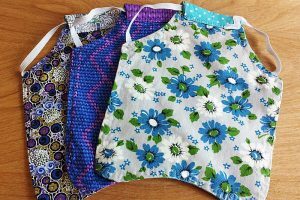 Why not use some of that fabric to make new throwing bags? 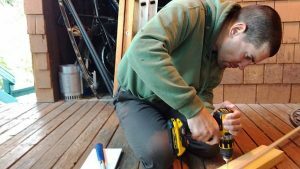 It’s a simple idea, and the process was fairly to-the-point. All I needed beyond the sewing essentials of fabric, needles, thread, and pins was something to fill up the bag, which I honestly had to think on for a while — maybe until I was ready to fill the throwing bag. I thought about trying small rocks, but I was sewing at night. Since I didn’t want to wait until morning to finish my trial sewing bag or go rock hunting at night, I needed another option. At some point, it dawned on me that I have blue sand that could work, but you might find something just as fitting for the purpose around your house. Just think a little outside of the box, and the fillings might take shape! 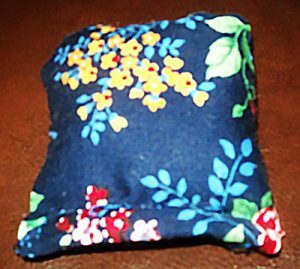 I took one of the pieces of fabric & folded it in half since the fabric size was nearly ideal to make two separate throwing bags. Now that we have the list of supplies, it’s time to get into how all of them came together into a Toss Across throwing bag. First, I took one of the pieces of fabric and folded it in half since the fabric size was nearly ideal to make two separate throwing bags. 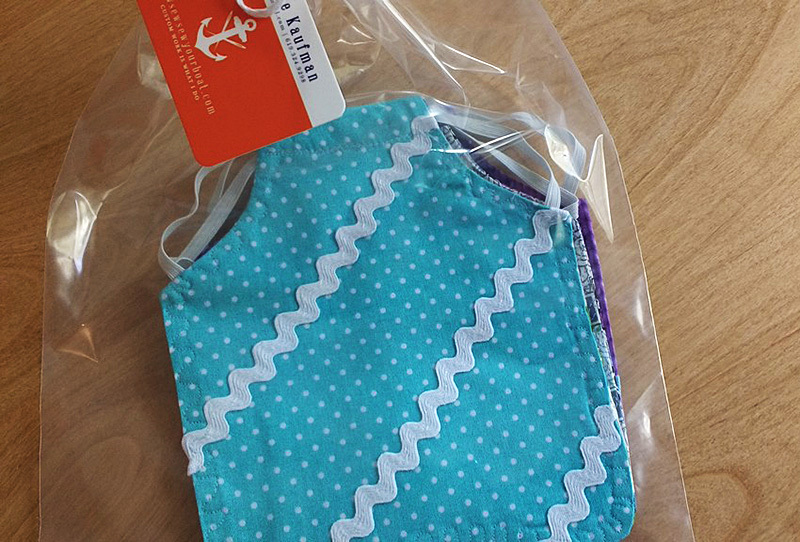 These bags needed to be small enough to flip spaces on the board, after all! Once I cut the fabric in half, I again cut it in the opposite direction so that what started as one piece of material was now four individual pieces — two for each throwing bag. Luckily, these are small products, so I only needed about three pins to hold them! Then it was time to pin them. Luckily, these are small products, so I only needed about three pins to hold them! 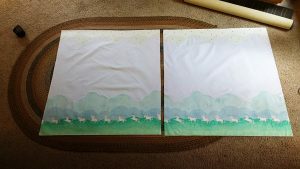 I took two pieces of the fabric and placed them together so that their printed sides were facing one another and pinned them on three sides to hold them steady. 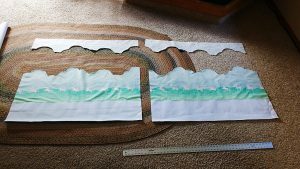 Note: This is also a good time to trim off any excess fabric on the ends if they’re terribly uneven with one another, though these seams will be inside the bag anyway. You don’t have to be too careful to make things perfect! 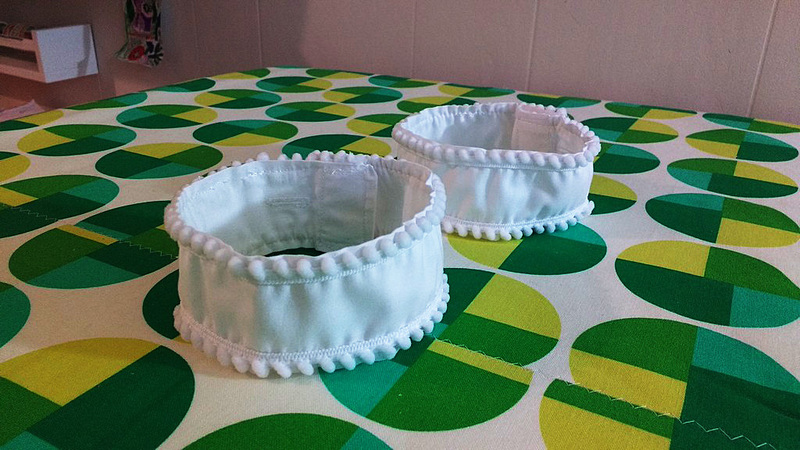 From there, it was time to sew, which was a pretty straightforward process! Three sides needed to be closed up completely, but I needed to keep that fourth side open to fill the sewing bag before I closed it as well. I simply sewed one side, then the next, and then the next. 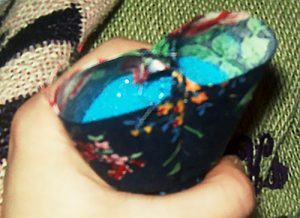 Then, it was time to flip the bag so that the printed fabric was now on the outside and add in what I decided would be blue sand to fill it. Again though, you can try a different tactic to fill the throwing bag — sand, beads, etc. You can try a different tactics to fill the throwing bag — sand, beads, etc. Be sure though while you’re filling the throwing bag that you don’t fill it too full. 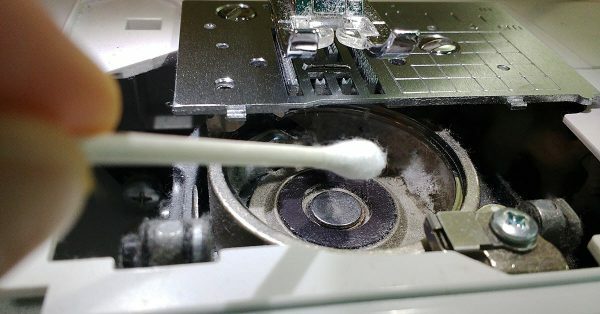 It’s important that it’s weighty enough to be able to turn one of the Toss Across spaces, but if it’s too full, you might have a hard time sewing that final side together. As it happens, I ended up towing the line, so for future projects, I might use a little less filling! Once I’d finished with the filling, I sewed that final line together. I did this by folding the edges inward, kind of like I was wrapping a present, then folded the line downward to pin it in place. After that, I just had to sew what I’d pinned and cut the thread. I did this by folding the edges inward, kind of like I was wrapping a present, then folded the line downward to pin it in place. I have plenty of fabric to keep making these, but already with this one bag, I’ve evened up the throwing bag numbers so we can play two rounds at a time!